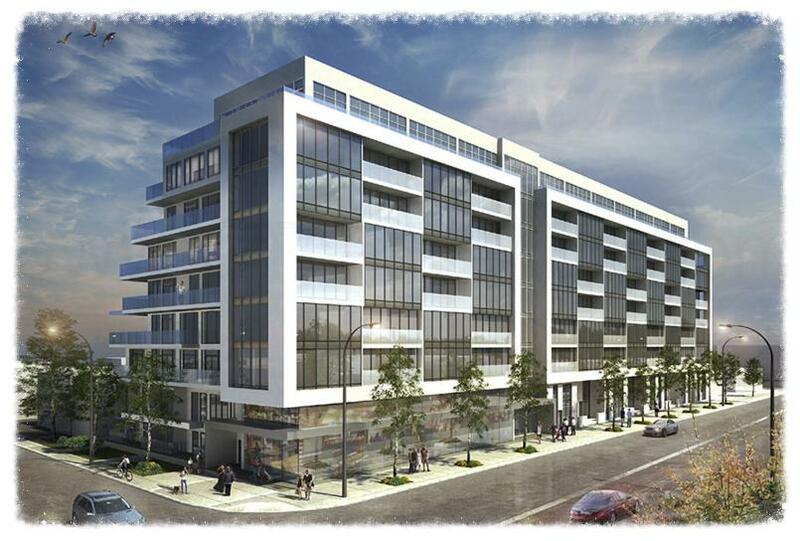 Canvas Condos - Register today for Platinum VIP Access! 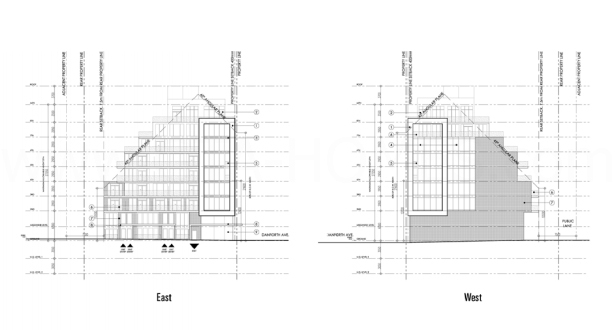 Canvas Condos is a new mid-rise and mixed-use condominium development project coming soon to the Woodbine-Lumsden neighbourhood in Toronto, Ontario by Marlin Spring Developments. 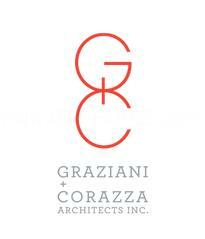 It is a proposed 8 storey building located at 2301 and 2315 Danforth Avenue with 166 residential units designed by Graziani + Corazza Architects Inc. 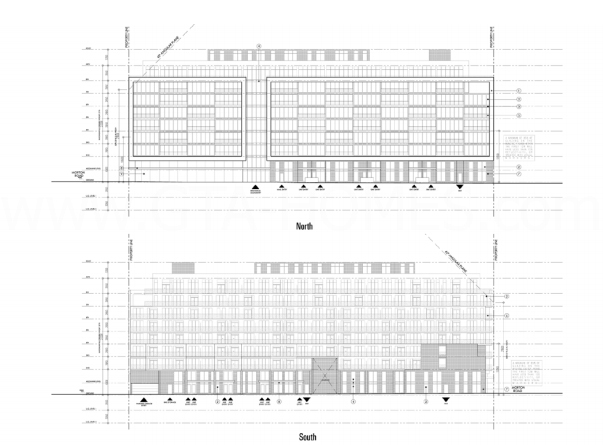 There are also 100 total proposed vehicular parking spaces along with 166 total bicycle spaces for this development. Canvas Condos is located in the Woodbine-Lumsden neighbourhood of Toronto which was voted as Toronto's "top 10 neighbourhoods for high-return real estate" in the June 2013 article from Toronto Life Magazine. This new mixed-use development is situated near other great Toronto neighbourhoods such as the Upper Beaches and the Danforth Village. Woodbine-Lumsden is considered the "perfect compromise between city and suburb" and has a mixture of renovated multi-storey homes along with bungalows. This area is also considered one of Toronto's safer neighbourhoods with low crime rates. 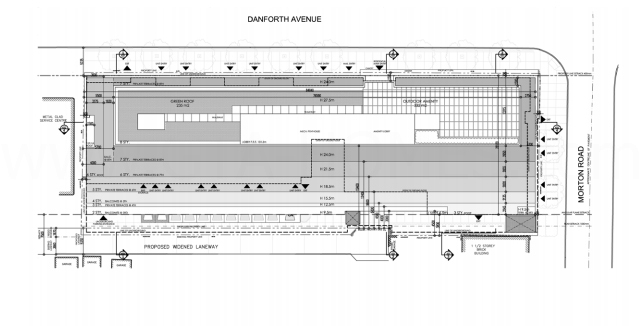 Canvas Condos is located near accessible public transportation with the Danforth GO Station situated nearby as well as both the Woodbine Subway Station and the Main Street Subway Station. This project is located close to parks, schools, shops and restaurants. Canvas Condos is located also a short drive away from the Asbridges Bay Park where you can see yearly firework displays and the Woodbine Beach which you can take a nice stroll along Lake Ontario. The Toronto East General Hospital and is approximately less than 3 kilometres away and the Dentonia Park Gold Course is located less than 5 kilometres away to the east of the site. 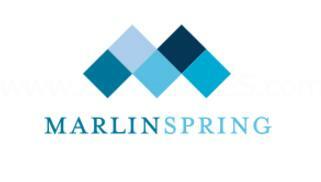 Register with us today for your Platinum VIP Access to the Canvas Condos by Marlin Spring Developments!